It's 2019 and to bring you the best and quickest service I am offering my economy glass pearl beads by the strand (rather than my previous offerings of loose beads). 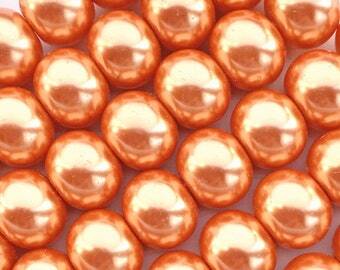 Also there are more colors, shapes and sizes of glass pearl beads to come so check back often! You will receive one temporarily strung 16-inch (approximate total measurement) strand—which is 75 of these pretty 5.5mm ivory/warm white/cream glass pearl beads. 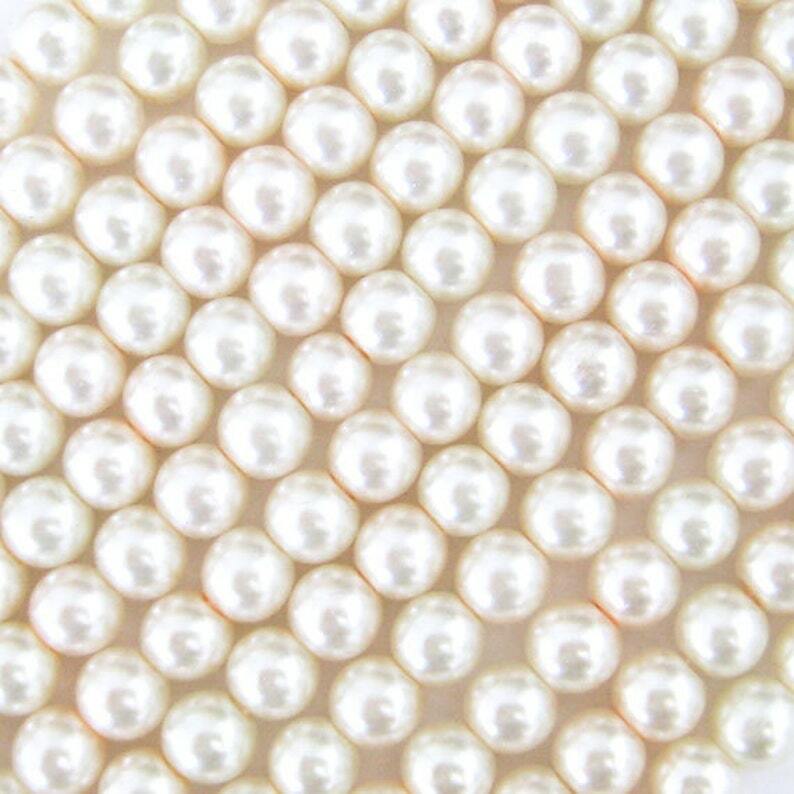 These pearl beads are smooth, round, and are a pretty warm off-white cream color. Your monitor color settings may vary. The size comparison photos are of the orchid purple pearl beads not currently available in my shop, but I do have other pretty colors. 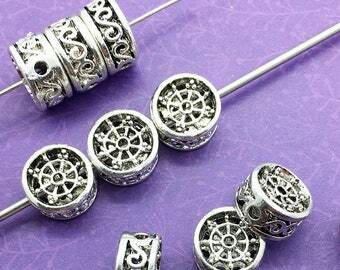 ***These beads are about 5.5mm from hole-to-hole on average. There may be tiny variations in the consistency of size, for example: actual diameter measurement might be 5.5mm from hole-to-hole and 5.75–6mm in diameter. 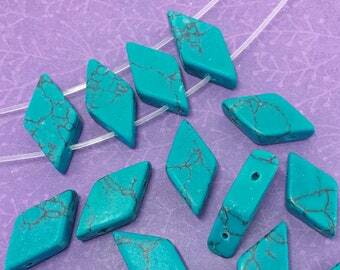 This is normal and can be found in almost every type inexpensive glass bead. These beads are pearl-coated glass and the applied color may or may not be permanent and will wear over time or with extended exposure to extreme heat or UV light. Very fast delivery. Tiny, but very nice pearl beads. Love it! They look real! Great quality! Love the pearls! Exactly what I was looking for - Thanks!